We’re back in my (constant) hunt for new historical crime series for this week’s BotW. I finally got my hand on the first Maisie Dobbs book during a trip to the charity bookshop and immediately read it. And it’s really good, so I went on and read book 10 in the series – which was in the library book pile and was far too big a jump in the series to do, but that doesn’t change how much I enjoyed the first one. We meet Maisie as she is setting up her own private investigation firm in London in 1929. Her first client asks her to investigate whether his wife is having an affair. But the investigation forces Maisie to revisit her experiences of the Great War and she finds it hard to keep her professional and her private life separate as she works to resolve the case. I really, really enjoy books set in the interwar years. My beloved Peter Wimseys are all in this period, as is Daisy Dalrymple, Phryne Fisher and Dandy Gilver. The very best of them show how the Great War was still having ramifications years after – whether it’s Peter’s shellshock, or Alec using his military tie to get people to open up to him. Like Phryne, Maisie spent time at the front (although Phryne was driving ambulances while Maisie was a nurse) and it’s deeply affected her outlook on life and her understanding and compassion for the others who were there. The mystery in this is centred in the Great War, allowing Maisie’s background and education to be explored and it works really well. In fact a lot of this book is setting up Maisie’s background and her personal history rather than resolving the case (or cases) that she’s investigating. But that was part of the enjoyment for me. Maisie’s got a complicated and fascinating backstory and I think understanding that is going to be key to understanding the other books in the series. Certainly when I read book 10 I would have been lost or at sea without the background I had got from book 1, so it’s one of those occasions where I’m very grateful to have restrained myself and started at the beginning. 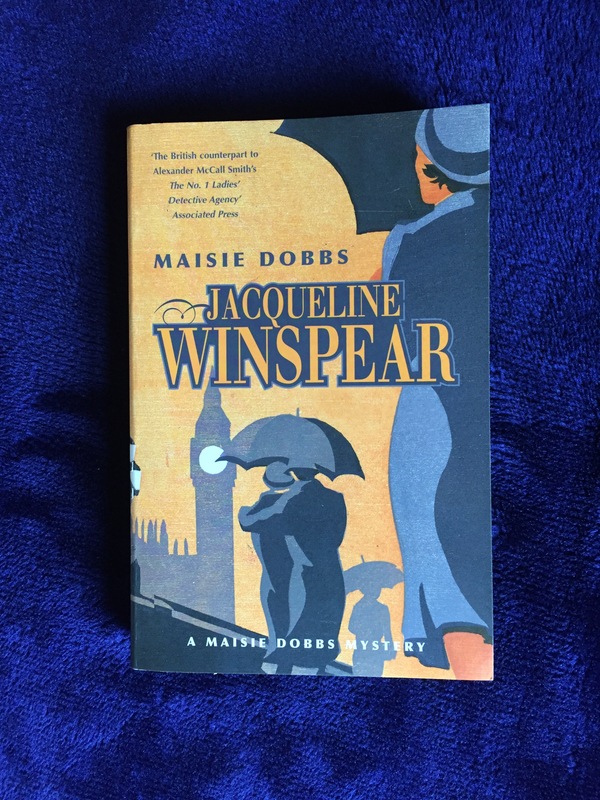 Well worth a look if you like any of the other series that I’ve mentioned – I know I’ll be looking out for more Maisie Dobbs mysteries. You can get a copy of Maisie Dobbs on Kindle or Kobo or in paperback from all the usual places like The Big Green Bookshop – and probably at your local library as well.